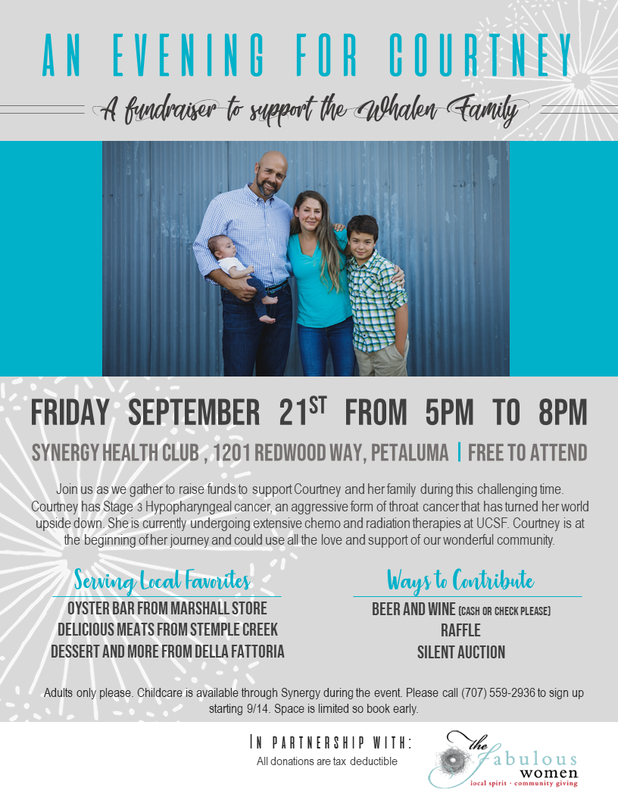 Let's get to this event and show our support for a great cause. Hello! 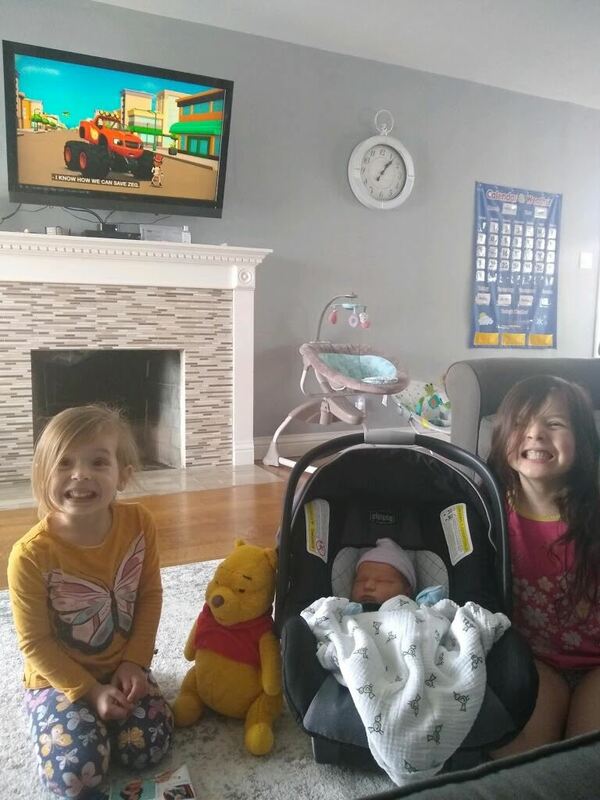 I am a stay at home mom to two beautiful children, Alec age 3 and Lucy 2 months old. My husband Ben and I have been together for 15 years, married for 5. I was born and raised in Petaluma and my husband grew up in Penngrove. We have been living in San Jose for the past 10 years but just recently moved back to petaluma to be closer to family. 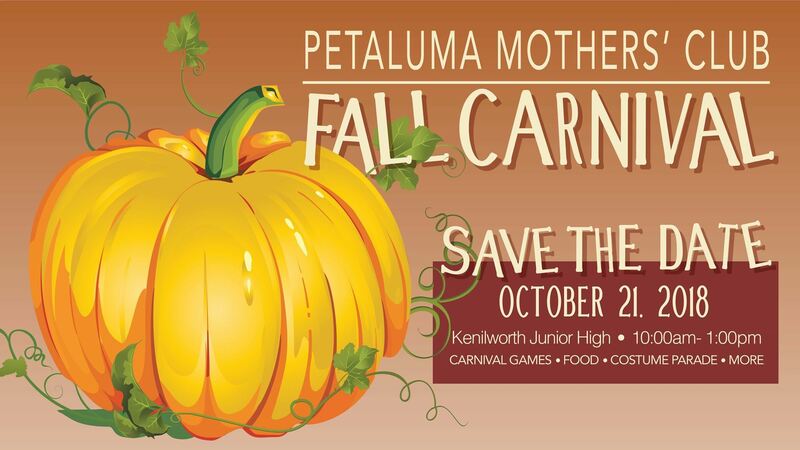 I am so glad to be a part of the petaluma mother’s club and have already met some wonderful people. I look forward to making some lasting friendships for both myself and my children within the PMC. Eric and I have been married for 2 years, together for 9. We have one child, Eliahna (almost 2) and are hoping for more. We also share our home with 2 dogs, a cat who thinks he’s a dog and 10 chickens. Why did you decide to settle in Petaluma? I am from Humboldt County originally, then Santa Barbara for college and then Marin. Eric is third generation Petaluman, so when things moved forward to living together there really was no question. I don’t think we will ever leave, and honestly, I would never want to. I love it here! Does your family have any special traditions? I was so excited when I figured out our family’s “thing” — we forage our own shellfish. Clamming and musseling mostly, although Eric does a bit of crabbing and abalone diving as well. From September to April we try to make as many low tides. By the time Eliahna was 6 months old she had been clamming more times than most people do in their life. How do you even answer that question? It’s similar to “what came first, the chicken or the egg”. Is it Eliahna or is it Eric? I don’t know that I could choose. Eric brought love, contentment and security into my life when I needed it the most. He is my rock and my best friend. Eric challenges me to grow and become a better person in ways I never really considered important before. Together we created the most loved and magical element of both our worlds - Eliahna. That little girl has shown me that love has no limits. Just when I think I can’t love her more, she proves me wrong. Don't get me wrong, they are times they both drive me completely nuts! Do you have any passions or hobbies outside or parenthood/career? Before Eliahna I lived my passion. I worked in animal sheltering for over 10 years, most recently running the Adoption and Intake programs at the Humane Society of Sonoma County. I took about a year off to fully focus on Eliahna. This year I’ve taken a more active role in supporting my husband as a Sergeant First Class in the Army Reserves. In January I became the Leader of the Family Readiness Group for the 374th Engineer Company (supporting families and soldiers in Eric’s unit), and most recently I joined the VFW Post 1929 Auxiliary here in Petaluma. BTW - thank you again to all the PMC momma’s who came out in June to help the Auxiliary pack up 75 care packages to send to solider in Afghanistan. You ladies rocked it!! Why did you join the PMC? Years ago I was at the Starbucks at the southend of Lakeville. While I waited for my coffee I saw a business card for the Petaluma Mother’s Club. I think I must have been lonely for friends in the area because I remember wishing I could check it out, but i wasn't even remotely close to being ready to have kids. Fast forward who knows how many years, I got pregnant, remembered that card and looked it up. I’m so glad I did. What do you like most about the PMC? In Petaluma! 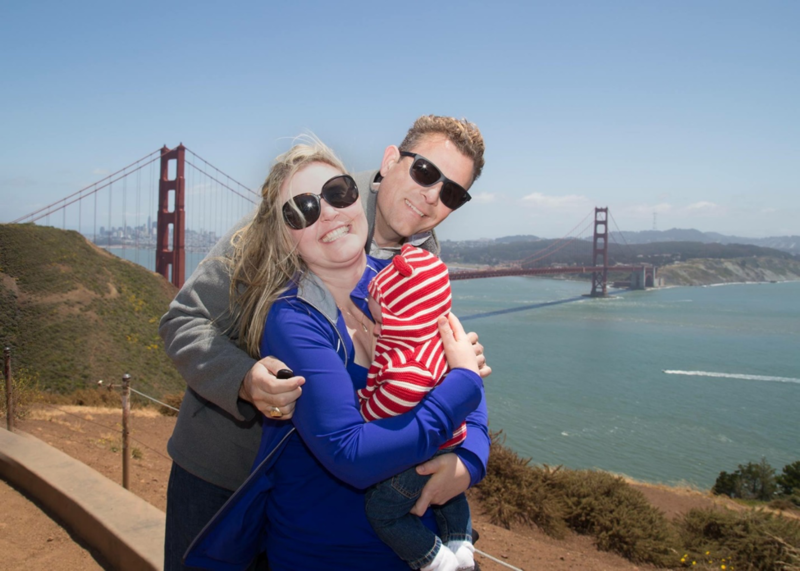 My husband, Rick, son James (6 months), and cat Smitty, and I moved to Petaluma from Chicago this past June. 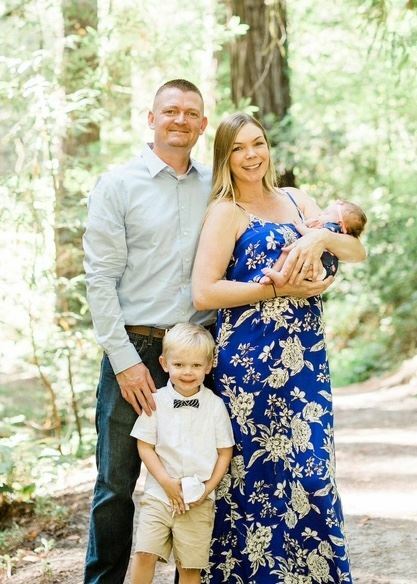 It was a very fast move for us, as Rick was offered a job at the Sonoma Valley Hospital in Administration and we had to say “yes” within 3 days! We packed up and headed out a few weeks later, having rented a home on Craigslist sight-unseen and not knowing anyone in (or anything much in general about) the area! It turned out to be paradise in our opinion. I keep saying to Rick, “there must be something we are missing, because nowhere can be this great”! The people in Petaluma are amazing and (thanks greatly to PMC!) we have already met some great friends and are feeling right at home. What has been your greatest journey? This is a good question to follow the last, as it is has been an amazing journey to finally feel like I am doing what I was always meant to – nurturing my family including my husband, son, and of course our rescue cat, Smitty. Starting in Calgary, Canada as a Registered Nurse, I graduated in 2003 and took the opportunity to travel through Australia and work in Edinburgh, Scotland. Loving the UK, I returned in 2008 did my MBA at Oxford University, living and working in London afterwards. For the past 7 years, I have been a traveling healthcare consultant, ending up in Chicago where I met my husband, Rick. Life up until that point had been fast-paced, transitional, challenging, and never quite settled (though definitely exciting). The move to Petaluma brings great changes to our family and the opportunity for us to slow down, enjoy each other, and be grateful for what Rick calls the “salad days”. Fortunate to have traveled a lot and lived in multiple places in three countries, my greatest fear is and has always been missing out on time with family members who are far away. This is the reason that James, at 6 months, has already flown internationally three times, as well as across the US twice! We are fortunate to be very close to our family both in Canada, as well as the US, and to have many close friends (like family!) in many different places. It is our priority to spend time together and that means that we are good at using our Southwest and United points and that James is already wondering how it is possible that his grandparents live in mama’s smart phone. Lucky for us, Petaluma is a travel destination of the world, so we are assured many visitors and our guest room is always at the ready. Grab a tissue! The secret shared in this book empowers children to “take care” of their parents on their first day of school! A wonderful book in this series! You will laugh with your child about all the demands the mouse makes on his trip to school. A great way to spark a conversation about all the things to NOT do at school! The ever-mellow, Pete the Cat shows us how to see the positives in everything and just have fun. Check out the YouTube videos with the songs! Another wonderful series. This is a fantastic book for children dealing with separation anxiety. This is a great book for children that have “butterflies in their stomach” about the first day of school. It depicts teachers as relatable and human. A funny ABC book about Miss Bindergarten and her students getting ready for kindergarten. It gives children some insight about what their classroom may look like and what their teacher is doing to get it ready. This is a wonderful rhyming book that can be used to ease fear and anxiety about school. The book finds fun in school while acknowledging fears. (I wouldn’t recommend it for students that are not having anxiety about school). A straightforward story about what school looks like. This book isn’t focused on the emotions, but rather on how a school day runs. The Maisy series is a good one to check out! A silly book about a child with a wild imagination about school. His calm mother reassures him with funny solutions. I Love You Stinky Face is a favorite in our house. This is a nice follow up to it. June Mom's Night Out- Wine Tasting! The moms night out in June was a delicious wine Barber Cellars in Petaluma. After a fun night of wine tasting, we got to relax in the gorgeous lobby of Hotel Petaluma. The night was filled with friendship and laughter and it was a great way to kick off the Summer! My husband who has put up with me for 8 1/2 years! Our first little monkey Avery, will be 4 in October, and our second little monkey will be a year in August! My husband and I didn't plan on having kids when we did. I was trying to travel as much as I could in my twenties and we both had no responsibilities and low paying jobs at the time. Once we found out we were expecting, plans changed. My husband scrambled looking for any type of career worthy job. My in laws moved to Kansas and decided to rent out their house to us here in Petaluma. 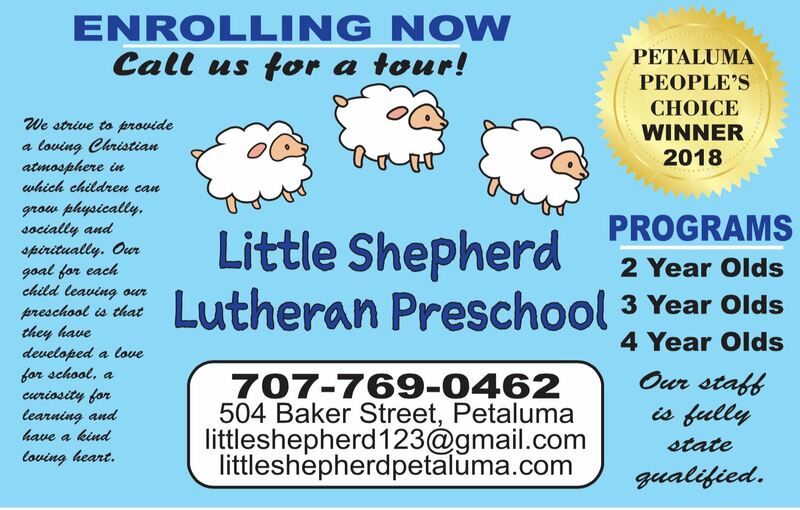 It was a long and difficult transition but we were able to make it work and we now own a house in a nice area of Petaluma with a good school district. Going from one to two kids was really hard for me. Avery decided it was a good time to stop napping and my husband stretched out his paternity leave to take one extra day off for 6 months instead of taking one solid month off. We thought it would be more beneficial that way but I was home alone with a newborn and a toddler who was no longer napping and still does not have good safety awareness. 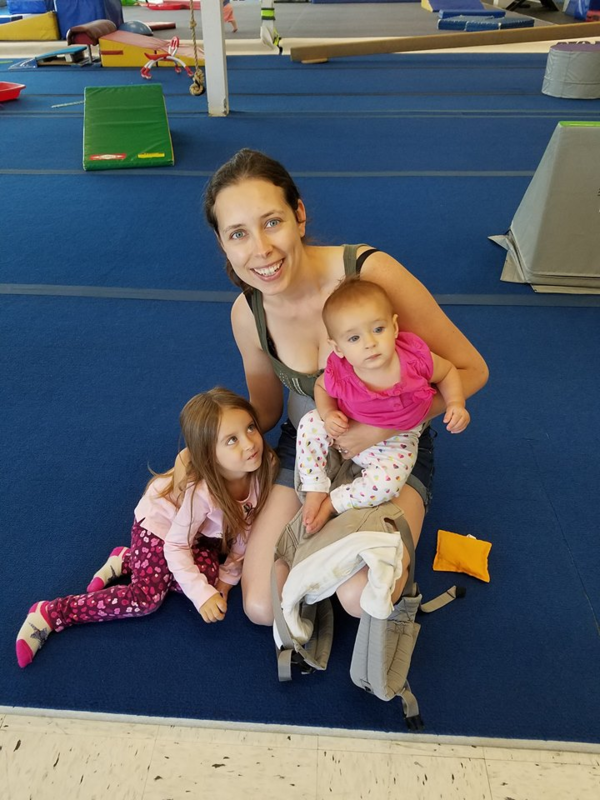 I got really depressed and thought that joining the Mothers Club might give me some support and I could meet other moms of kids Ambers age. What is the most surprising part of becoming a parent? How much you change yourself for one little human. Even if you dont intentionally mean to. f I were to met the person I was a year before having kids, I wouldnt even know how to relate. Do you have any passions or hobbies outside of parenthood/career? When I was pregnant With Avery, I started sewing and crocheting again. 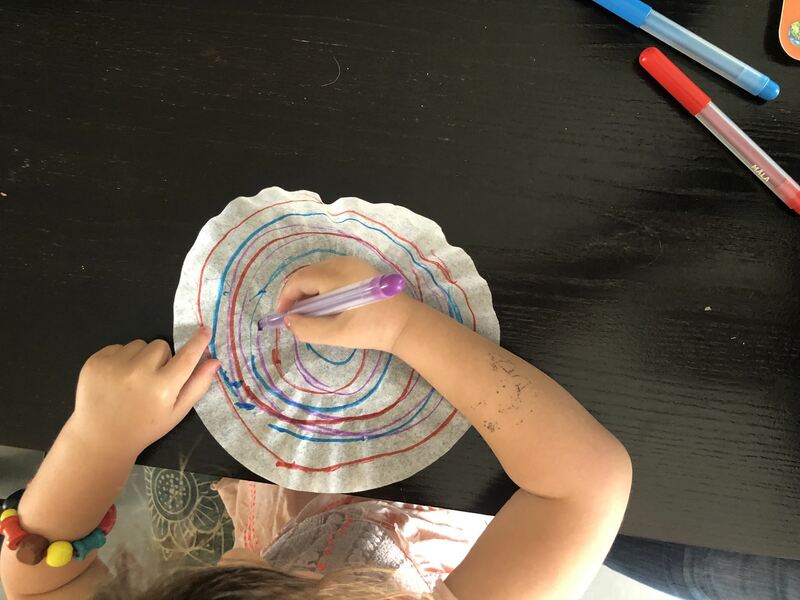 I find these hobbies to be very time consuming with kids but someday I will craft again! What’s your perfect Friday night? Everybody passing out at 8 without any interruptions.. including me! What do your kids do that drive you crazy and what do they do that melts your heart? My daughter Avery loves to smother her sister. Its both adorable and annoying at times. Sometimes she flicks her sisters ear or snatches a toy from her or even feds her things she shouldn't eat. On the flip side, she loves kissing her and sniffs and rubs her head.. a lot.. Amber is very emotional which is both good and bad. She smiles all the time and laughs at the Simplest things but she also whines a lot and doesn't have a lot of patience. She's either one emotion or another but she will let you know how she's feeling. When we were little, my mom use to tell us about the day we were born every year on our birthday. I try to keep that up with my girls. I tell a kid version of what really went down because lets face it, it wasn't all sunshine and rainbows! Haha!